Today is the Extravaganza Final Day. There have been so many great products on sale these last few days. Now, we end the sale today with Tools and Ink. So don’t wait until the last minute because the products have been selling out. You can see the products included below. But remember, it all ends today. Online Extravaganza final day event! 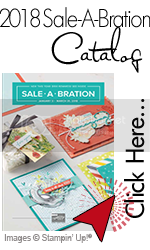 I hope you were able to pick up some great products and fill your craft room with love. Please be aware, that there are limited quantities of all products and will no longer be available once they sell out. Finally, enjoy your Black Friday shopping! Happy Holidays.